Alpina enhances their “Startimer” professional pilot collection with the new Startimer Automatic “Sunstar” model with « sunray » dial finishing, applied numerals and minutes ring. This professional pilot watch boasts all features the Startimer Collection is known for, while adding the luxury finishes normally found on elegant watches. The combination of the luxury dial finishes and the strict pilot functionalities offer pilot watch aficionados the perfect balance between professionalism and elegance on the wrist. 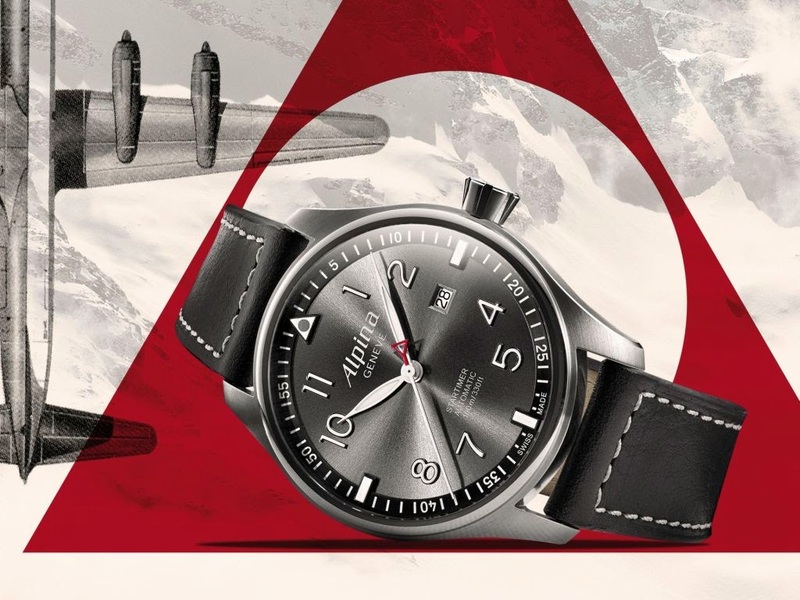 In the first 50 years of the past century Alpina was a renowned manufacturer and official supplier of military aviation watches to continental air forces. Early aviation pioneers had strict requirements: their instruments had to be extremely precise and provide ultimate shock resistance. In addition, Alpina pilot’s watches were mostly equipped with an anti-magnetic case, a high-contrast dial with oversized luminous numerals and luminous hands for instant readability. The clean design of the watch is inspired by Alpina’s past: a generous 44 mm, anti-reflective satin-finished stainless steel case, a grey sunray finished dial with oversized applied luminous numerals, an applied minutes ring and an anti-reflective sapphire crystal and the signature red Alpina-triangle on the central seconds hand are key features. For mechanical movement lovers there is also transparent case-back and a screw-in crown.